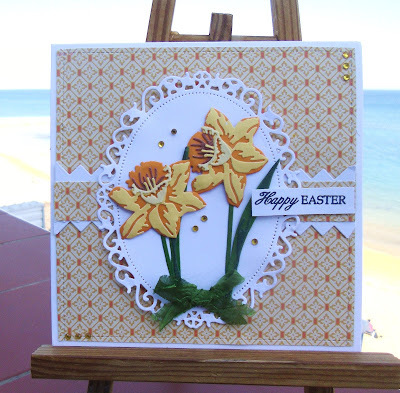 A gorgeous card Sylvie, the daffodil die looks fab, what a great freebie! Such a pretty card Sylvie, beautiful daffodils. Love how you have put all this together, it's beautiful. Loved the freebie too.